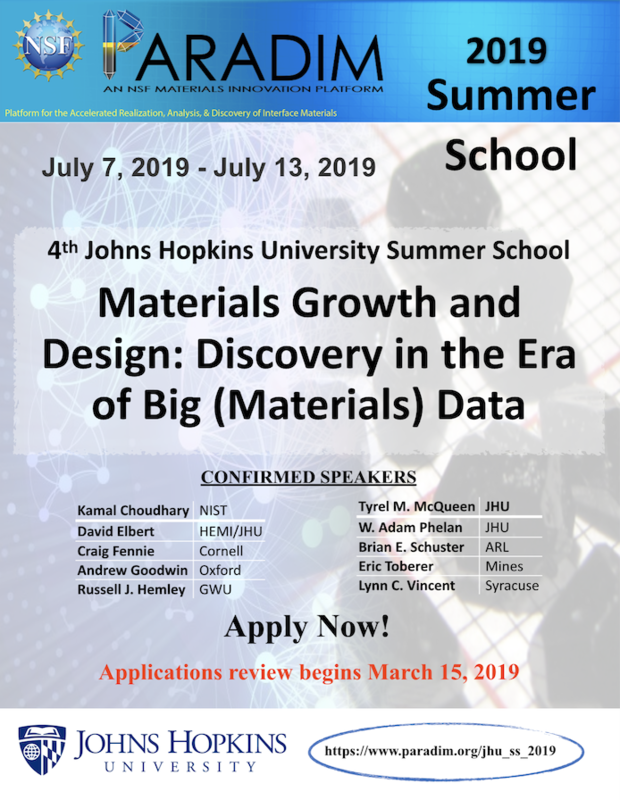 We are pleased to announce the fourth annual JHU summer school on Materials Growth and Design: Discovery in the Era of Big (Materials) Data. The school is targeted at graduate students, postdocs, and young faculty, there is no registration fee and all meals will be provided. Attendees are expected to cover travel and lodging (in affordable on-campus housing), although limited travel grants may be available.